Nintendo's 3D handheld is finally starting to pick up steam: it's sold more units in eight months than the DS sold in its first year. "In sales through this past 8 months it has outsold the full 12 months of the original DS. During that 12 month's time, the original DS sold 2.37 million and we just surpassed that this past Saturday, so we've got real good momentum going into the holidays," said Nintendo of America president Reggie Fils-Aime in an interview with Time Magazine. The 3DS got off to a rough start, largely due to its hefty price, slew of hardware issues, paranoid rumors about it turning people's eyes into steaming yogurt-mush and, of course, the lack of quality titles during its first few months of release. The recent $80 price drop and infusion of decent games - including the conspicuously absent-at-launch Super Mario 3D Land - seems to have done the trick. 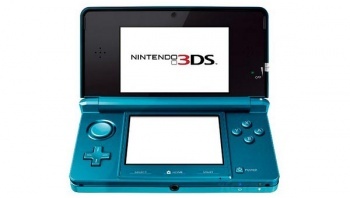 The DS is Nintendo's most successful product and the second best selling console of all time. Providing Nintendo can maintain the same momentum with the 3DS, you may have an excuse to break out those 'it prints money' gifs yet again.